The National Nutrition Week is celebrated every year from the 1st to 7th September across India. The theme for this year’s Nutrition Week is ‘Go Further With Food.’ The main objective of this annual event is to increase awareness on the importance of proper nutrition for health and well-being. 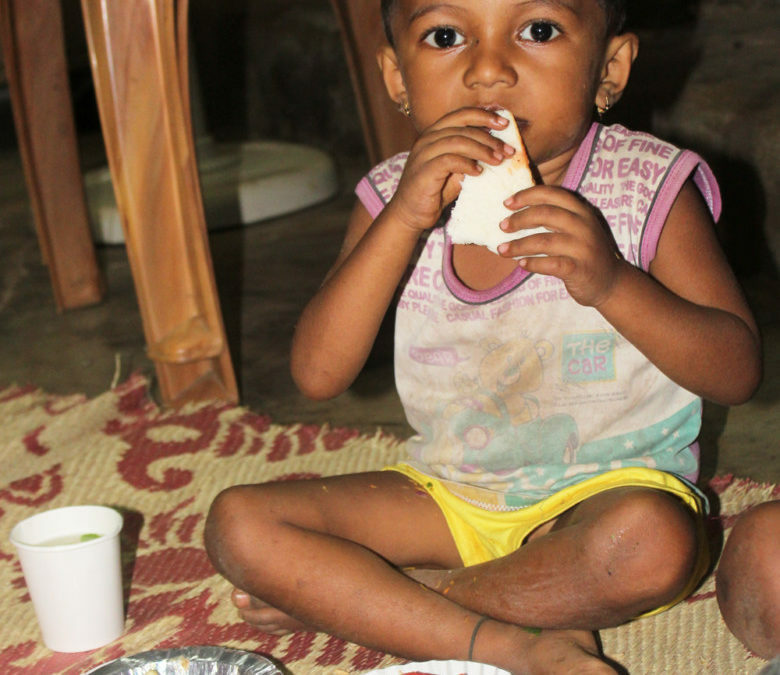 To increase public awareness on the importance of good nutrition, CCDT’s Sahyog Project celebrated Nutrition Week with the children and the tribal communities living in Adivasi padas of Sanjay Gandhi National Park in Borivali and Aarey Colony. This project is supported by Plan International (India Chapter). Eating a balanced diet is important for good health and wellbeing. In order to ensure you’re getting a balanced diet and your body is receiving all the nutrients it needs, you need to get the basics right. The Sahyog team organised a Food Melava, where children were informed on five different recipes they would like to eat at home, and their nutritional value. Information was shared during the sessions such as which vegetables and fruits one should eat every day. Nutrients supply essential vitamins and minerals that keep the body functioning and the immune system strong. It is important to drink sufficient water at least ten glasses a day. In the Food Melava various activities were conducted with the children. They were divided into groups and were asked to prepare nutritious snacks for themselves such as bhel, vegetarian salads, lemon water, til laddo (sesame seeds) and fruit salad. Lemon is very good for health as it filled with vitamin-c. It gives instant energy to a person. “It is healthier to make lemon water at home than to buy sodas,” says Veena (Child Volunteer). “Adolescents are also the influencers for their siblings. If they start eating healthy the younger ones will follow the same, and it will promote healthy eating among the family,” says Mahendra Patekar (Social Worker). Apart from National Nutrition Week, CCDT’s Sahyog Project participated in Poshan Abhiyan and celebrated it with the community people of SGNP in Borivali and Aarey Colony. Poshan Abhiyan is India’s flagship programme to improve nutrition for children, adolescent, pregnant women and lactating mothers. The Sahyog team organised Poshan Melava to spread awareness about the importance of green vegetables rooted in forest lands, which are generally sold in the market but not consumed. The session was to inform mothers about the nutritious value of those vegetables. They convinced the group by letting them know these green vegetables are easily available in forest land, and are free for them to eat on a regular basis like mushrooms, drumsticks, and bamboo-shrut. During the Melava the Sahyog team demonstrated the recipes to make it easy for them to cook. The message conveyed during the session was with a balanced amount of fruits, vegetables, and oil a healthy diet can ensure good health.